Have you ever had one of those experiences where you leave a theatre, a movie, or a live music performance and you wish you could walk back in and just see it all over again? Like the kind you want to tell every person you know to go and see it? 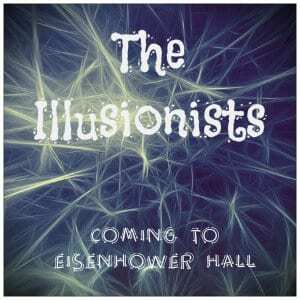 Eisenhower Hall, an incredible performing arts center very close to our inn is hosting The Illusionists and this is one show you will not want to miss! Eishenhower Hall is located at West Point, the premier military academy in the United States. It’s just a 25-minute drive from us. We talk about West Point quite a bit here in our blogs due to the fact that many families visiting their cadets enjoy staying at our bed and breakfast during their visit, and also because of the many events going on throughout the year. This incredible theatre is the Hudson Valley’s premiere performing arts center. You may hear it referred to as “Ike Hall.” It’s a beautiful, elegant center with stunning acoustics and not a bad seat in the house. They bring in Broadway plays and musicals, operas and dance companies, comedians and more. THE ILLUSIONISTS™ – Live From Broadway™ is a show coming March 3rd, 2019. This blowing-box-office-records performance has stunned audiences across the globe. It’s great for all ages! In this non-stop show you’ll see thrilling and astonishing acts of illusion, magic, disappearance, mind reading and more. ​Make a whole weekend out of it and come spend a few days with us in the beautiful Hudson Valley. Our bed and breakfast has the best of both words – close to so many amenities and things to do yet private and intimate to give an atmosphere of total relaxation. Book your tickets to this show quick as it will likely sell out and at the same time, book your favorite room with us! Hope to see you soon!